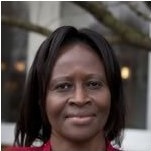 Dr. Mary Kasule is currently the Assistant Director of Research Ethics at University of Botswana (UB) and since 2013 has served as UB leadership within the Fogarty African Bioethics Consortium. Originally from Uganda, she completed her PhD in Public Health in 2014 with a focus on research ethics and informed consent protocols from the University of Western Cape (South Africa). Dr. Kasule has worked in Botswana to improve national capacity for ethical research through research and teaching. She has founded and served on IRBs in Botswana, supported Community Advisory Boards, and conducted training workshops and programs. While completing her PhD, Dr. Kasule was a Principal Research Officer at the Botswana Ministry of Health’s Council on Health Research for Development (COHRED). Dr. Kasule’s ongoing research is firmly grounded in the goal of building capacity for upholding ethical research standards in African institutions. Recently, Dr. Kasule published “Silent voices: Current and future roles of African research ethics committee administrators,” with Fogarty International Center grant awardee, Douglas Wassenaar of the South African Research Ethics Training Initiative. The article describes the findings of the first empirical study conducted specifically on the roles, responsibilities, and potential of administrators for African research ethics committees.